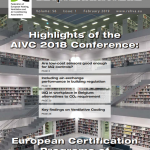 The Proceedings of the 39th AIVC – 7th TightVent & 5th venticool Conference “Smart Ventilation for Buildings”, held in Antibes Juan-Les-Pins, France on 18-19 September, 2018 are now available for download. Please click HERE to access the event’s papers, slides and Book of Proceedings. The 40th AIVC Conference “From Energy crisis to sustainable indoor climate – 40 years of AIVC” will be held during the 15th & 16th of October, 2019 at ‘Het Pand’, the congress centre of Ghent University in Ghent, Belgium. It will be a joint event combined with the 8th TightVent and the 6th venticool conferences. The conference programme will include well‐prepared and structured sessions focused on the conference topics, invited speakers, long and short oral presentations arising from the call, as well as 90 seconds industry presentations. 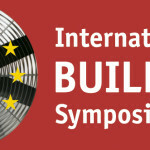 Article 19a of the Energy Performance of Buildings Directive (EPBD) requires the European Commission to conduct a feasibility study on the possible introduction of the inspection of stand-alone ventilation systems and an optional building renovation passport. In this scope, a technical study has been contracted to a consortium formed by INIVE and BPIE who, together with a broad range of experts in the required fields, provide technical support to the Directorate-General for Energy of the European Commission. 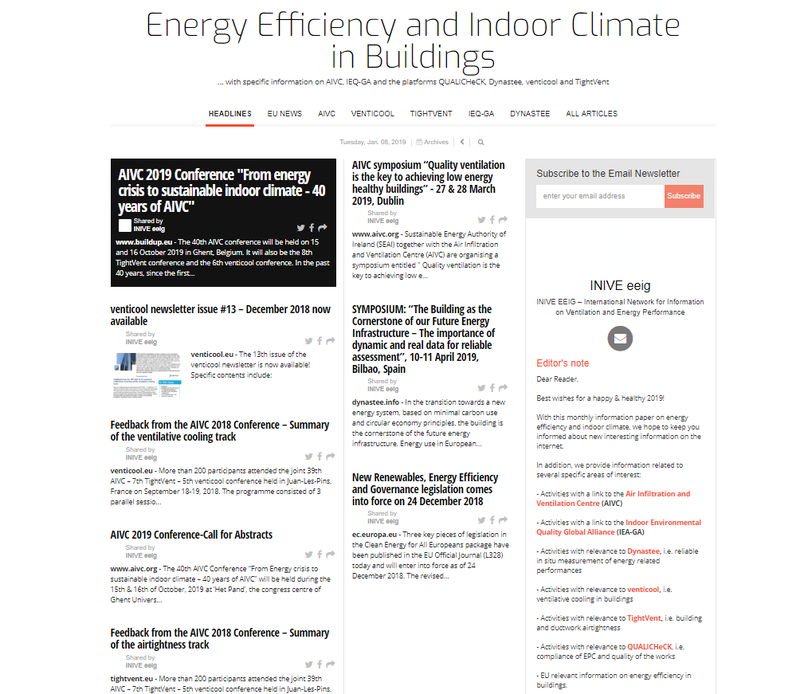 The latest updates on the technical study can be found on the EPBD 19a website. 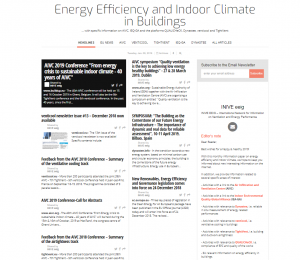 One aim of the study is to clarify the possibilities and timeline to introduce the inspection of stand-alone ventilation systems in buildings. Inspections can be considered as a way to improve the performance of ventilation systems. Such inspections can take different forms, e.g. mandatory or voluntary, operated by independent inspectors or by the installation/maintenance staff, shallow or in-depth, etc. Alternative approaches to inspections (e.g. awareness raising) can also be effective and are in the scope of this study. With this survey, the consortium would like to understand your views on inspection of ventilation systems and alternative approaches. The results of the survey will feed the study. If you want your voice to be heard, please fill in this survey by April 15, 2019. A survey for second topic of the feasibility study – building renovation passports- is now also open.